Everything from controlled organic farming and to stay fresh: antioxidant ascorbic acid. 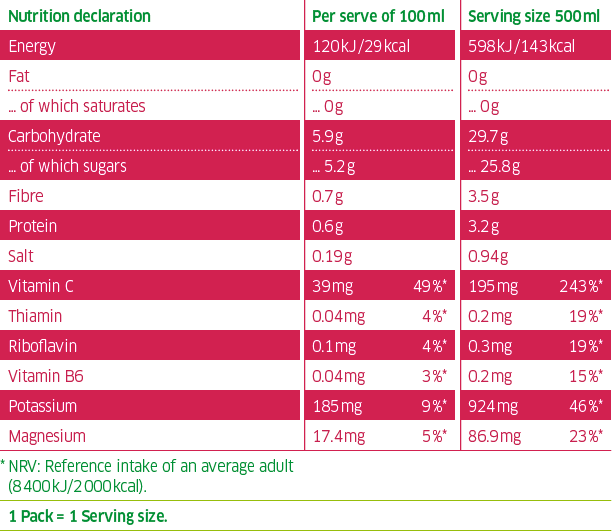 Ingredients: Coconut juice* (72 %), pineapple juice from concentrate* (26 %), acerola puree* (2 %), antioxidant ascorbic acid. There are two different families of coconut palms in the world. The coconuts from one family are green and the others are orange. 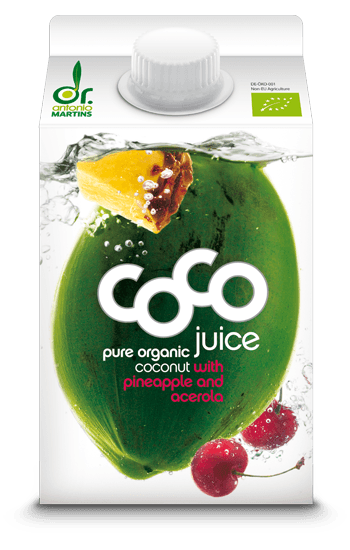 The best quality coconut juice is harvested from young coconuts. It doesn’t matter whether they are green or orange – they must be young. Brown coconuts are old and ripe and actually contain hardly any juice. Anyone who makes coconut juice from these must be a magician.